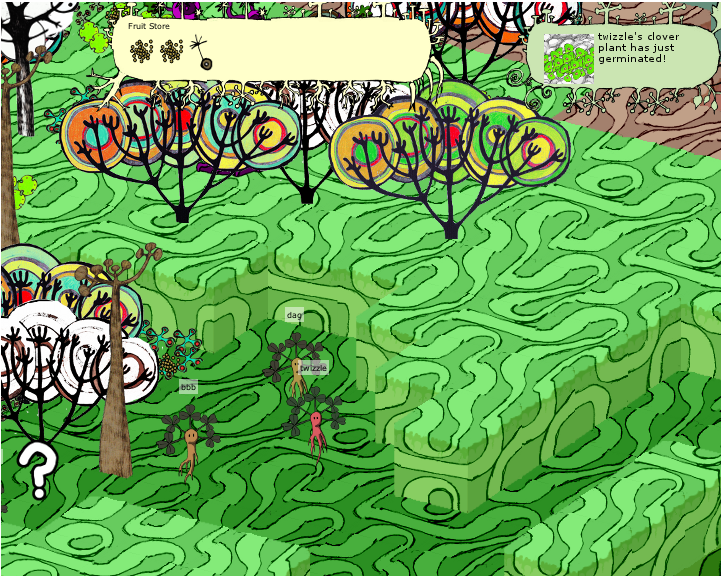 After another code sprint on Germination X, I’ve added player characters (avatars) to the game. Based on the falmouth focus group feedback this seemed one of the major things missing that players felt would improve the game. 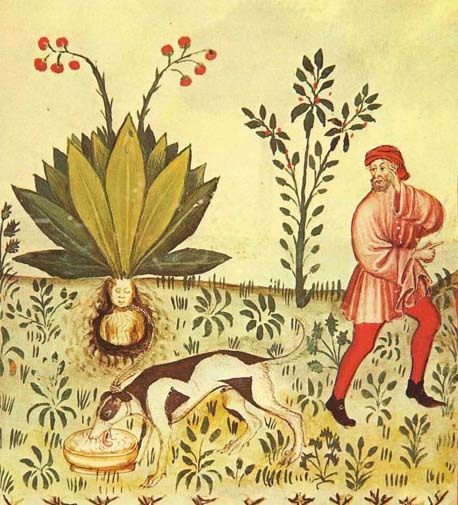 The character design came from the Mandrake plant, which has been cropping up in groworld projects for some time – as a magical plant known to resemble human forms as it grows. This change also allowed a much needed clean up and decluttering of the user interface for the game – as navigation now happens by moving your mandrake around by clicking on things. Your location is persistent, so when you log in you go back to the same place. All existing players in the game have been given mandrakes scattered around the world. This also means that the latest code will work with snapshots I’ve taken of the game world regardless of how old they are. This turns out to be really important – I can try some changes and rewind the whole world back to the same starting point, as well as testing code locally on a copy of the current public world version.